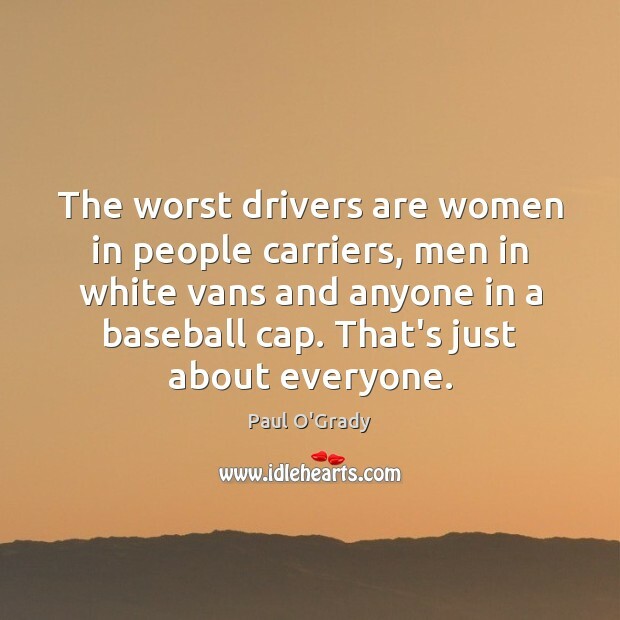 Quotations about Baseball Caps. Quotes to stimulate mind and drive action! Use the words and quote images to feed your brain inspiring things daily! 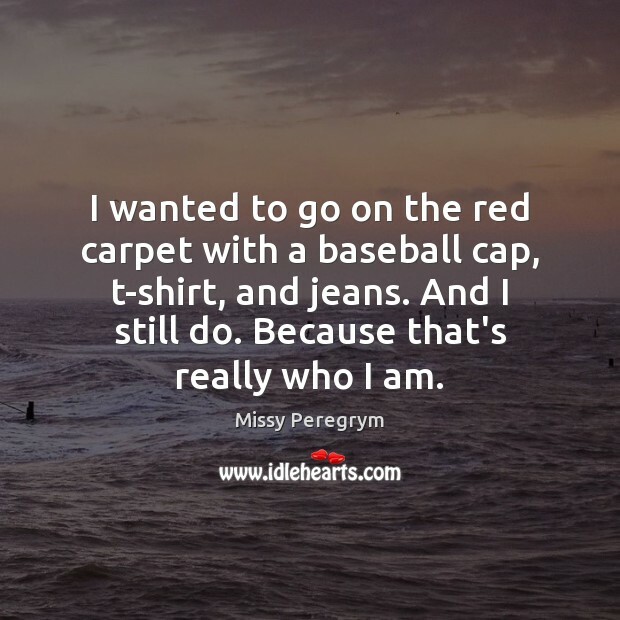 I wanted to go on the red carpet with a baseball cap, t-shirt, and jeans. And I still do. Because that's really who I am. 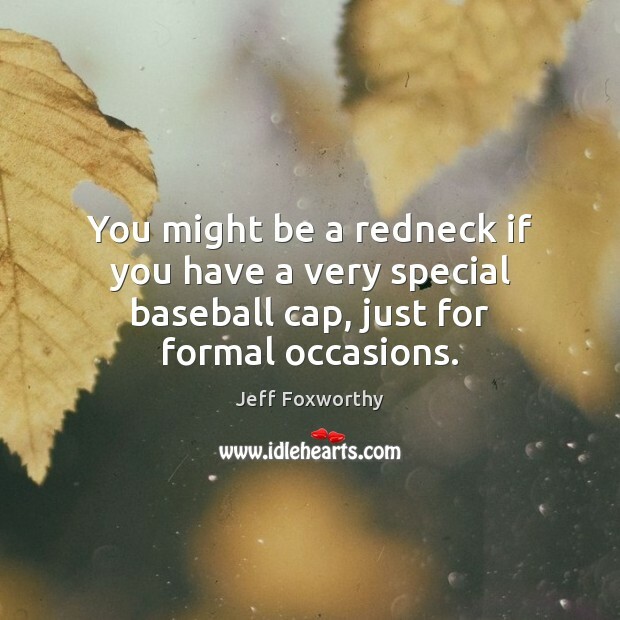 You might be a redneck if you have a very special baseball cap, just for formal occasions. Do you know the nicest thing about looking at pictures of a 1950's baseball park? 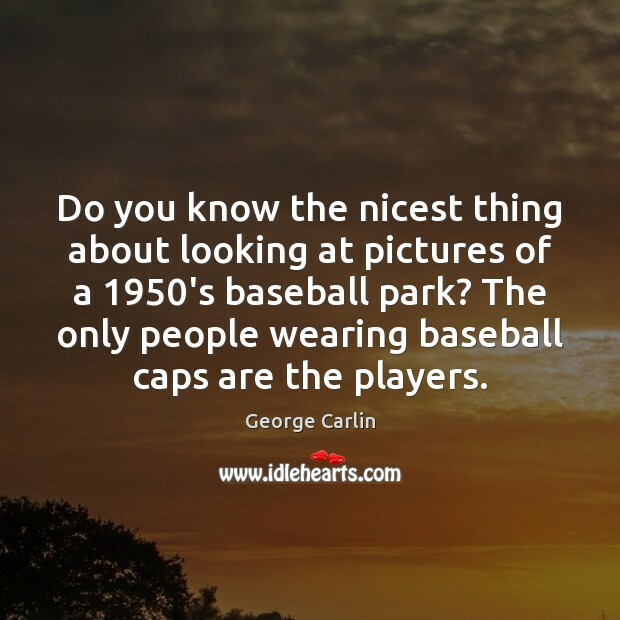 The only people wearing baseball caps are the players. 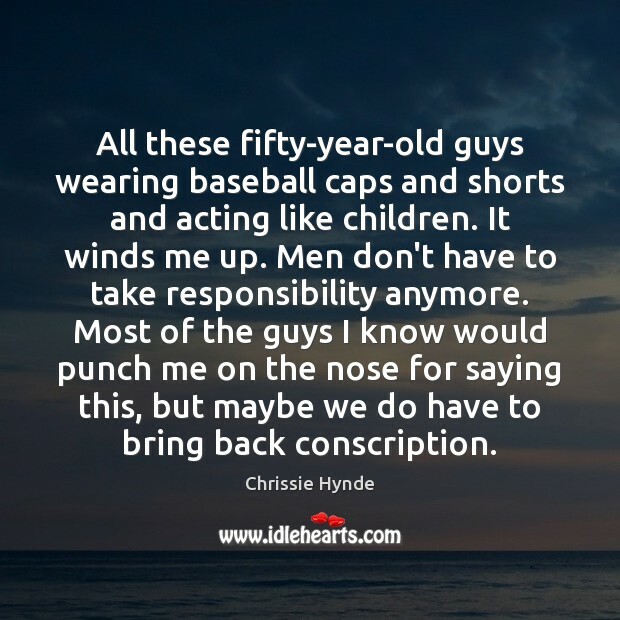 All these fifty-year-old guys wearing baseball caps and shorts and acting like children. 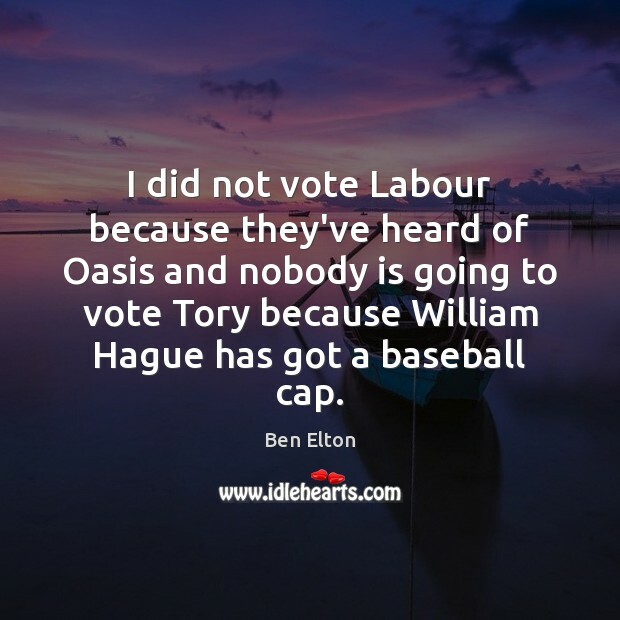 It winds me up. Men don't have to take responsibility anymore. Most of the guys I know would punch me on the nose for saying this, but maybe we do have to bring back conscription. 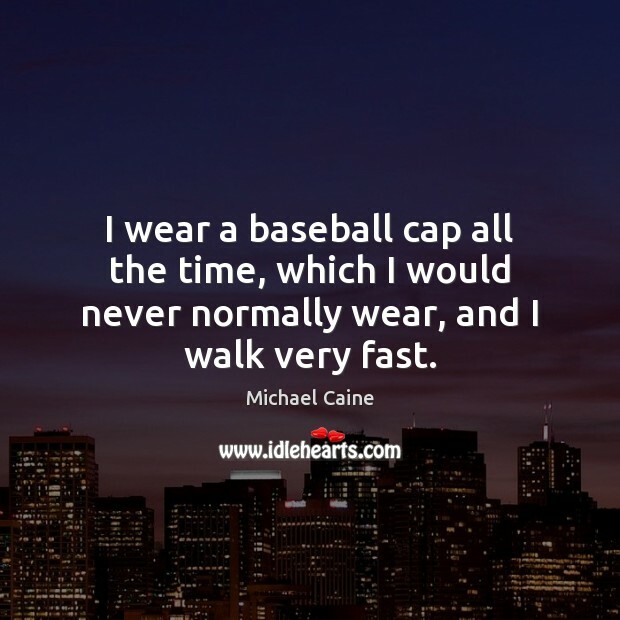 I wear a baseball cap all the time, which I would never normally wear, and I walk very fast. Sometimes I'll be confident and go into a shop and say, "Hello, yeah, all right," and then the next day, if someone looks at me or talks to me, I just don't know what to do. 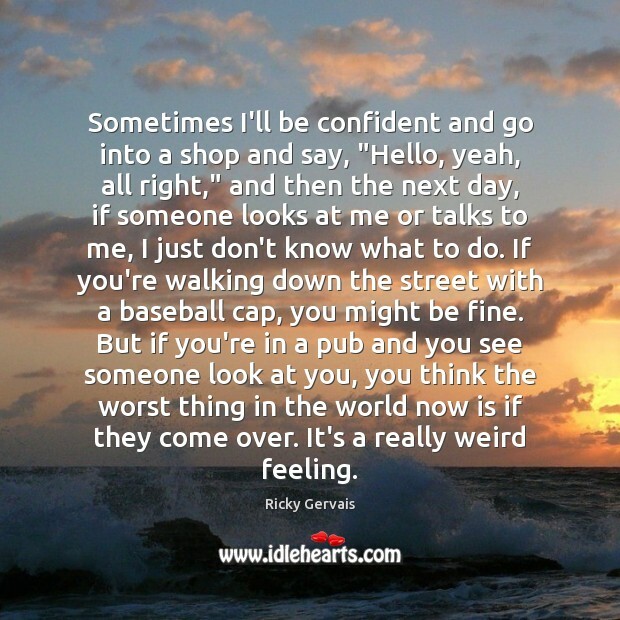 If you're walking down the street with a baseball cap, you might be fine. But if you're in a pub and you see someone look at you, you think the worst thing in the world now is if they come over. It's a really weird feeling. Have you thought about what it means to be a god?" asked the man. 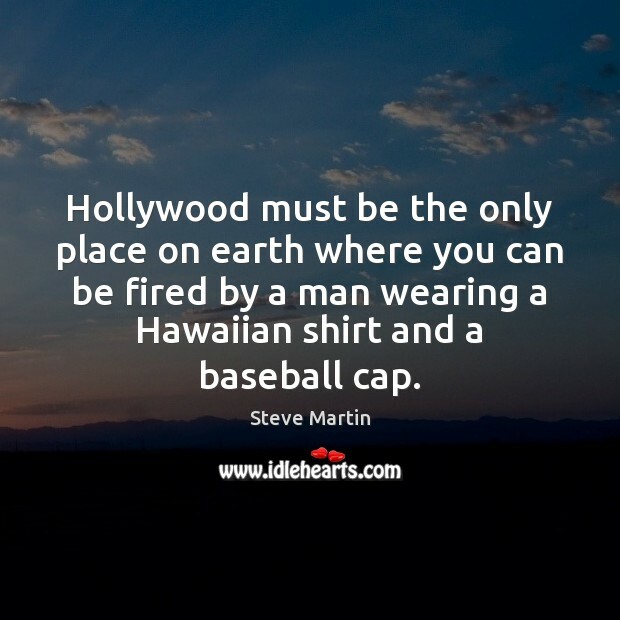 He had a beard and a baseball cap. "It means you give up your mortal existence to become a meme: something that lives forever in people's minds, like the tune of a nursery rhyme. It means that everyone gets to re-create you in their own minds. You barely have your own identity any more. Instead, you're a thousand aspects of what people need you to be. And everyone wants something different from you. 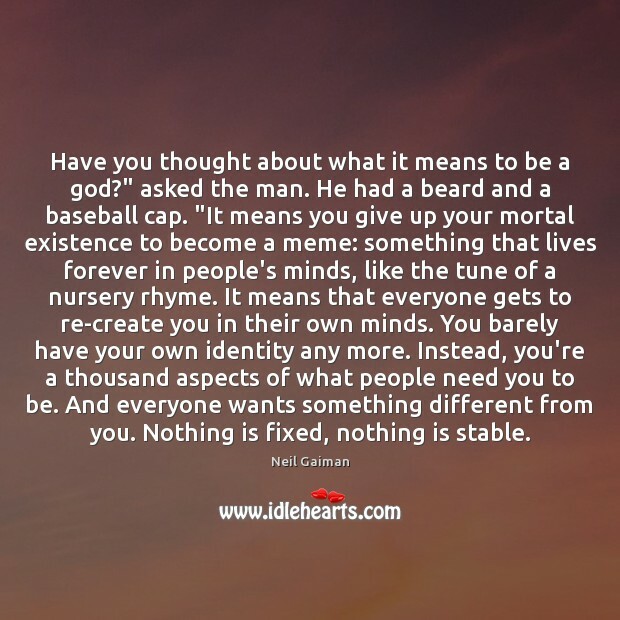 Nothing is fixed, nothing is stable. 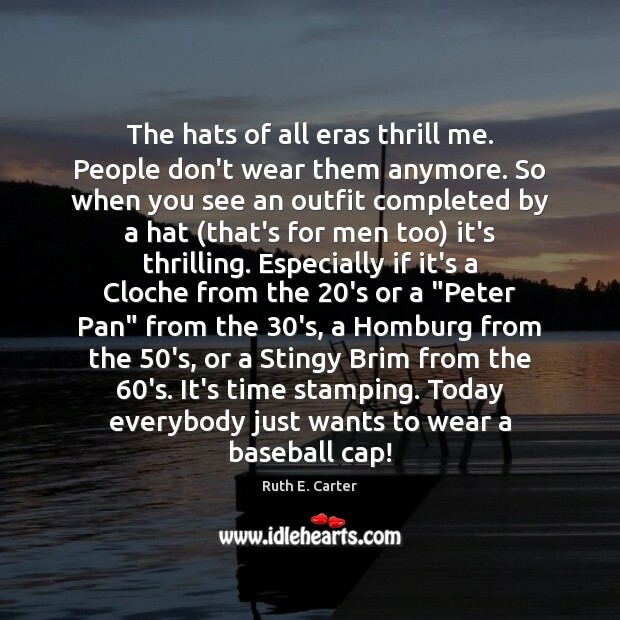 The hats of all eras thrill me. People don't wear them anymore. So when you see an outfit completed by a hat (that's for men too) it's thrilling. 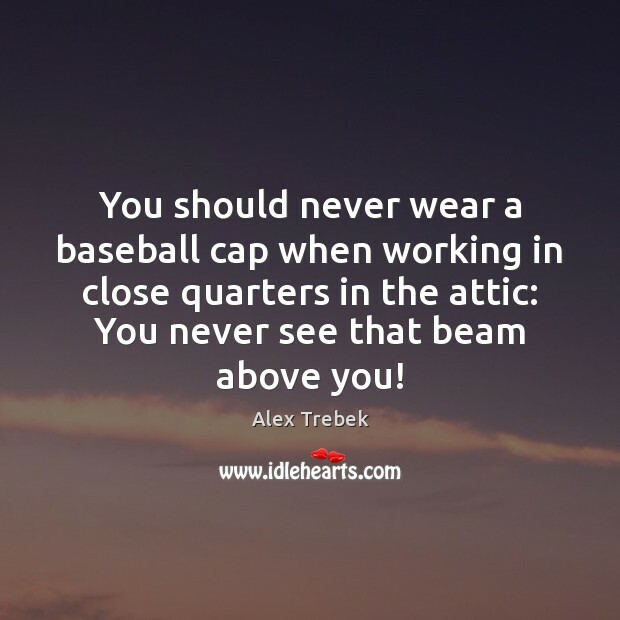 Especially if it's a Cloche from the 20's or a "Peter Pan" from the 30's, a Homburg from the 50's, or a Stingy Brim from the 60's. It's time stamping. 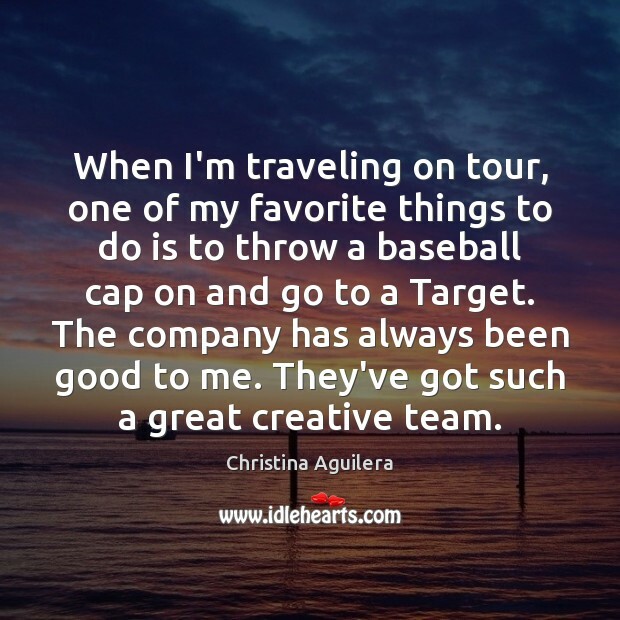 Today everybody just wants to wear a baseball cap! A hand landed on his shoulder like an anvil. 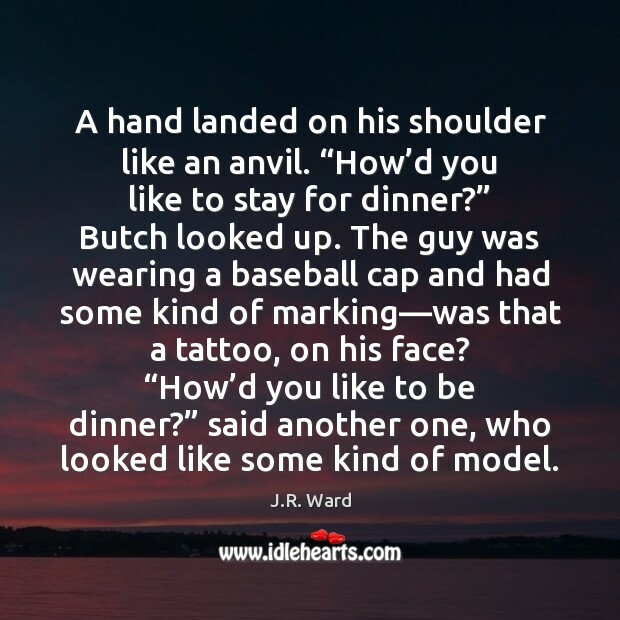 “How’d you like to stay for dinner?” Butch looked up. The guy was wearing a baseball cap and had some kind of marking—was that a tattoo, on his face? “How’d you like to be dinner?” said another one, who looked like some kind of model. 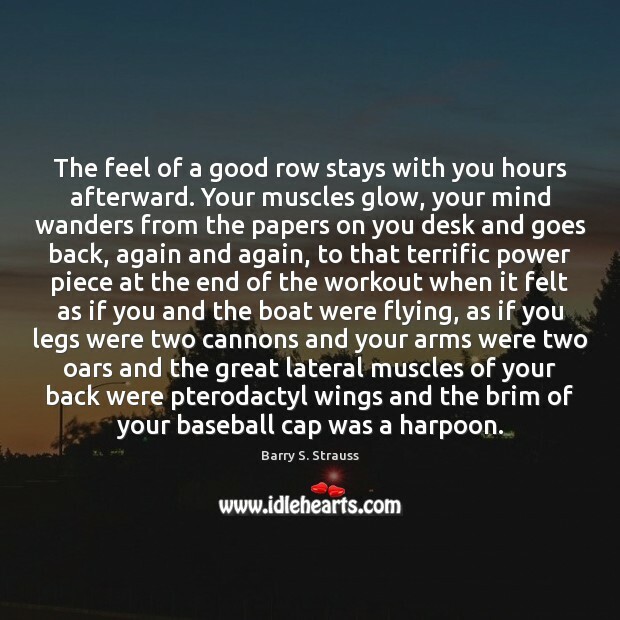 The feel of a good row stays with you hours afterward. Your muscles glow, your mind wanders from the papers on you desk and goes back, again and again, to that terrific power piece at the end of the workout when it felt as if you and the boat were flying, as if you legs were two cannons and your arms were two oars and the great lateral muscles of your back were pterodactyl wings and the brim of your baseball cap was a harpoon. 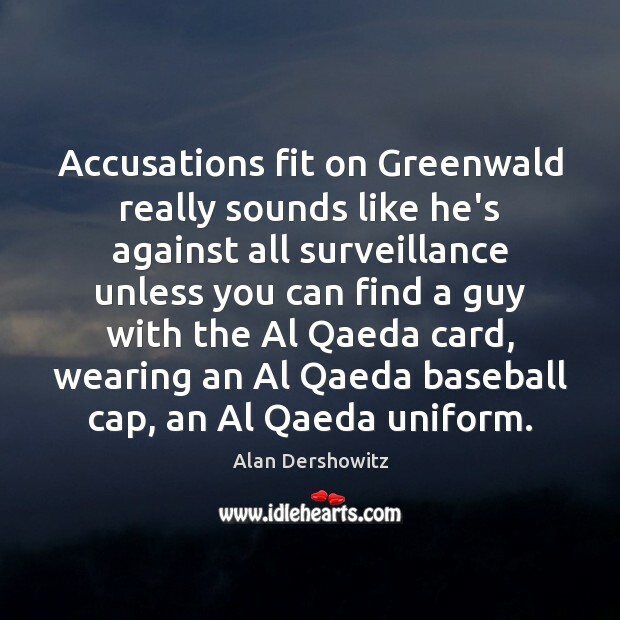 Accusations fit on Greenwald really sounds like he's against all surveillance unless you can find a guy with the Al Qaeda card, wearing an Al Qaeda baseball cap, an Al Qaeda uniform.